Set up in 1989, Zhan Cheng Precision Industrial originally designed and developed specialized tooling, jigs and clamps, and has diversified into milling and processing since 2001 backed by years of know-how. We have two factories that spread across some 14,400-square-feet and CNC milling machines, automatic milling machines, EDMs, as well as precision inspection equipment including 2D image gauges, 3D coordinate measurers, and digital projectors. With three divisions that handle production management, production and quality control, we accept orders for milling and finishing of aluminum-alloy, ferrous, and magnesium-alloy parts for automotive, motorcycle, bicycle, ATV, hardware tool, air tool, lawn mower and hydraulic applications, as well as light-duty arms and 100% export. Committed to offering specialized know-how and precision products. 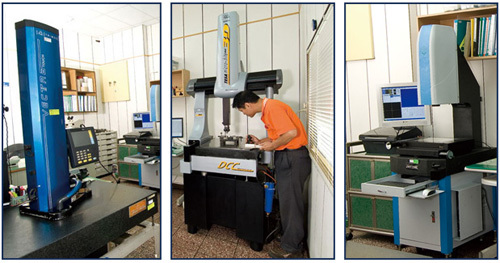 Company application for ISO9001, and there are 16 CNC related processing equipment. We pay very close attention to quality, integrity, efficiency, and service.